There is a deepening debate in East Asia about the prospects for common exchange rate arrangements, even including the formation of a common currency in the longer term. This raises a complex set of issues and this volume provides a detailed yet comprehensive examination of key issues in the debate. It looks, for example, at the nature and extent of linkages in East Asia, in terms of trade and foreign investment, finance, labour, and consumption, investment and output. It examines how the exchange rate affects various aspects of economies. 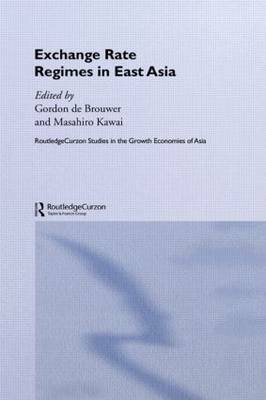 And it critically analyzes various proposals for currency regimes for the region, including floating exchange rates, basket pegs, and currency union.